To celebrate the arrival of the cold but cozy Christmas Holidays, I’m giving away two ebook bundles of Smashing Magazine. Each ebook bundle contains 6 ebooks about Usability and UX for Web Design. What better way to start your Christmas holidays by winning this valuable price! Editorial note: The contest has concluded. Find out if you are one of the lucky winners of an ebook bundle of Smashing Magazine about Usability and UX for Web Design. Usability and UX for Web Design bundle of eBooks from Smashing Magazine. How can you win the ebook bundle of Smashing Magazine? “Hey @paulolyslager, do I win the ebook bundle about #Usability and #UX for Web Design? http://bit.ly/Suyoiw”. Scroll down ’till you see the grey subscribe box underneath the article. Don’t you worry if you’re already subscribed. You can still enter this contest and win your ebook bundle through Facebook. 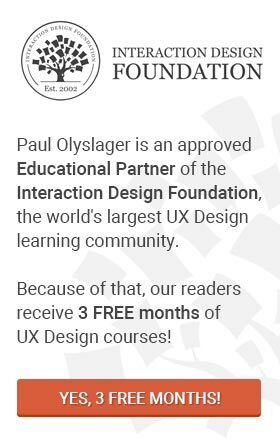 Post a message to the Paul Olyslager wall (not your own wall) with your response to the following question: “When did you hear about User Experience for the first time and how did you came in contact with it?”. Two winners will be chosen from amongst the valid entries. The giveaway ends on Friday, December 21st. The winners will be contacted by me. This important eBook offers tips and insights into how to best improve your website with the help of storytelling, tools for problem solving, relationship engineering, and a variety of improvements to your customer service department. This insightful eBook runs down the many psychological factors that come into play for designers. It goes way beyond just knowing which colors to use to elicit specific moods out of your users. It delves into just how the human brain works in terms of digesting colors, contrasts, balance, symmetry, and more. If you’re already familiar with UX design, then this book will certainly help you fine-tune your skills for a more user-friendly layout. You’ll learn the best practices to avoid, as well as a number of positive examples and successful techniques to add to your designer’s toolbox. The second volume of this eBook series contains more article selections targeting UI Design and unique UX techniques to improve customer satisfaction overall on your website. User flow is critical when designing a website, and this eBook delves into the various approaches necessary to improve the overall user experience. 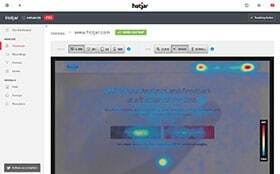 Get crucial information on optimizing emotional engagement, performing heuristic website reviews, and designing various flows, among other techniques. Creating a user-friendly website is vital to your business’ success. But how do you measure the UX of your site? That’s what this important eBook explains. The best kind of user tests measure actual user performance, and you’ll learn the ins and outs of A/B testing and multivariate testing.